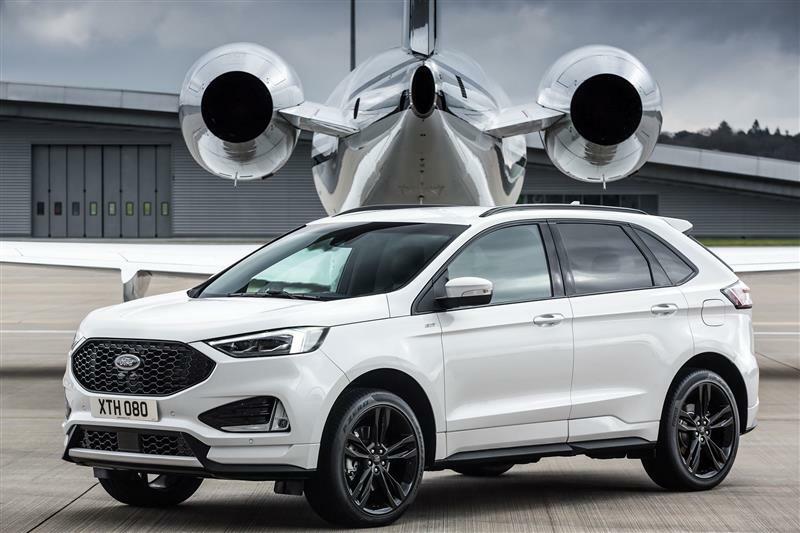 Ford unveiled the EU version of the updated Edge, the big news is a new 2.0L BiTurbo EcoBlue Diesel coupled with the 8-Speed transmission. In addition to Vignale and Titanium ranges, ST is coming as well, just without the exclusive V6. "Petrol and diesel cars are set to be banned from certain parts of London in 2018, under new proposals. A number of councils in the Capital want to outlaw petrol and diesel cars, way ahead of the Government’s plans to ban them by 2040. " Considering the time scale there, we are still looking at generations of Diesel products before everything naturally progresses to Hybrids and EVs. I'm sure Ford has probably developed its last small Diesel engines. Logans Run and Bloggin like this. Ford choosing to offer diesel engines only in the EU Edge is a real head scratcher. Personally know many who drove diesel since they began driving whom are buying gas or alternative vehicles now. I think that is why Ford has chosen to offer diesel in North America now, just to be able to unload planned production. I'm not entirely clear on what is being offered here but it looks like only the 2.0L EcoBlue is on tap, the same engine in the Ranger Raptor. What was available previously? Isn't the S-Max and Galaxy due for similar upgrades? I didn't know the Edge was available with a manual transmission in Europe, that has to be weird. The price for the Edge in Spain go from 44000€ to 54000€ (50000$ to 60000$) , without options. This vehicle is a disaster from the point of view of marketing, prices and options. It doesnt offer a single gasoline engine! In that band of prices , it compete with the Jaguar E-Pace! And, of course, i prefer the Jaguar that, at least, offer a gas engines. Imagine to buy a new diesel Edge today in Madrid, and cant drive it in the city by 2021....!!! Is a complete disaster . Who is charge of Ford of Europe rigth now? Last edited by falcon lover; 03-07-2018 at 11:52 AM. That's definitely far too much for an Edge. Who is in charge of FORD?